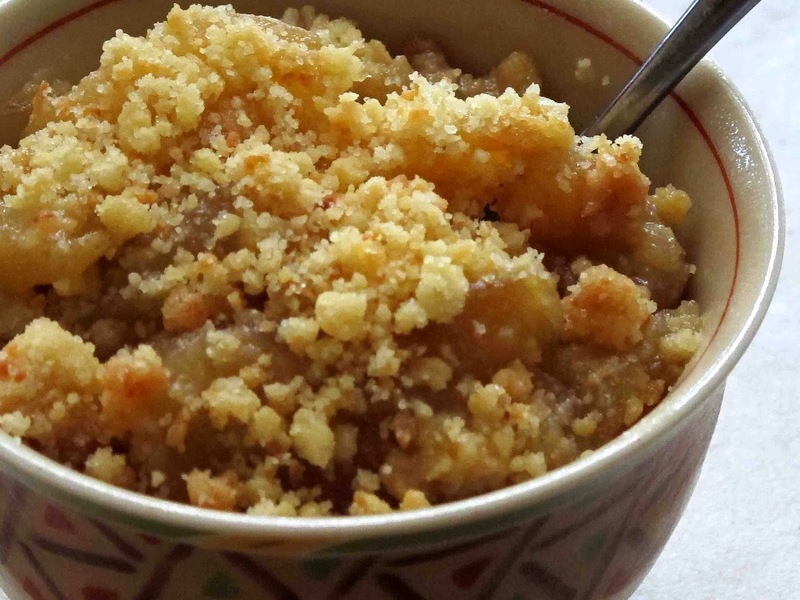 This is a great make ahead crumble topping as once baked it can be stored in an airtight tin for a few weeks. Sprinkle it over hot stewed apple or other seasonal fruit like plums/peaches or apricots for an instant dessert. It was adapted recipe from Monica's Kitchen by Monica Galetti ( Quadrille Publishing). She used a mixture of dessicated coconut and chopped hazelnuts and unsalted butter. Line an oven tray with baking paper and spread the crumble out on it evenly. Bake in the oven for about 10 minutes, then turn the oven down to 150C and bake for a few minutes longer until golden brown.